Few people look forward to washing their dishes by hand. But if your dishwasher breaks down and you don't have the budget to replace it, what choice do you have? While the kitchen appliance may make your life easier on most days, it can cause a lot of stress and frustration when it breaks. Avoid choosing between washing dishes by hand or taking a hit to your bank account. 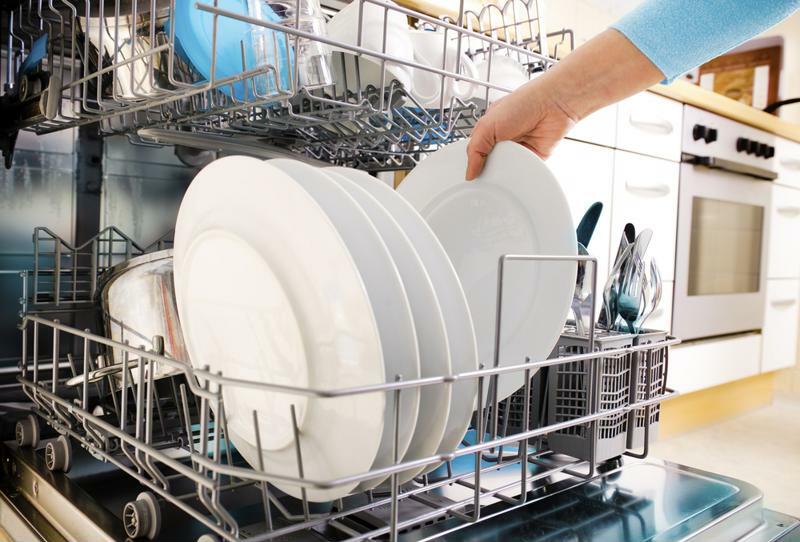 Extend the lifespan of your dishwasher with these four simple steps. A key to making your dishwasher last longer is to regularly check the filters in the machine. According to U.S. News and World Report, the filters that are located in the floor of the appliance are there to catch food scraps. It's consequently important to make sure they are cleared out after every load to ensure they don't become clogged. Get in the habit of doing a quick check after you unload the clean dishes to avoid problems. Check the filter after you unload clean dishes. If your dishwasher is regularly cleaning your dirty dishes, it stands to reason it may need some cleaning of its own on occasion. The Huffington Post reported buildup on the gasket in the appliance can cause leaks, so it's important to clean the interior. A simple cleaning with soap and water will help to keep the seals in the machine watertight. While you don't need to clean your dishwasher after every load, try to get in the habit of doing it regularly. According to Lowe's, a cycle a day is the way to go if you want to avoid a visit from a contractor. Regular use will keep you appliance from building up debris, which can cause it to drain improperly. Don't have enough dishes for a load every day? Try to at least aim for every other day instead of saving all your work for the weekend and running your dishwasher multiple times in the same day. While it may be more convenient to put aside an afternoon or two a week where you do all of your dishes at once, it's not the best strategy for extending the lifespan of your appliance. Taking steps to keep your dishwasher in the best possible condition helps extend its lifespan. But that doesn't mean you can avoid every problem, especially those related to everyday wear and tear.By purchasing a home warranty, you can protect your home against dishwasher malfunctions. All of Total Protect's home protection warranties cover unknown preexisting conditions and normal wear and tear, as well as rust and corrosion coverage. All you have to do is place your claim online or on the phone, we'll connect you with a screened technician and one low deductible1 will likely pay for the repair or replacement.